At Imagine Eye , we can guide you and help you in the development of an effective corporate identity for your company. We are aware that today's marketplace is very competitive and that a good corporate image is important in communicating your company's values and in gaining trust from your existing and potential clients. We do planing and designing of logo, symbol and complete corporate identity solution. We are offering a wide range of technologically advanced, portable Alkaline Water Sticks that create mineral rich, alkaline water by simply putting it in a bottle of water. 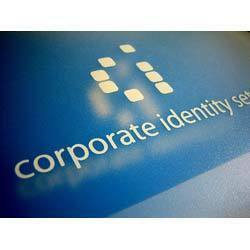 A corporate identity is the "persona" of a corporation which is designed to accord with and facilitate the attainment of business objectives. It is usually visibly manifested by way of branding and the use of trademarks. Corporate identity is often mistaken for a fancy logo with bright color’s printed on a glossy paper. We are consistently immersed in offering Corporate Identity Designing Services. This designing service is best in the market and accomplished by professionals in easier way. Moreover, we apply minimal cost for this designing service. - 100% unique and customized brochure designs. We are not template vendors. - Interesting concepts/compositions that are customer-centric and result-oriented. - Affordable prices for outstanding designs. Every organization whether small scale or large scale, desires to carve a niche in the competitive market. A well developed corporate identity design helps in creating a brand image which portrays a company's products and service to its existing clients and potential clients. Big Technologies Solutions would create a Corporate Identity and Branding Design that reflects your image, your brand that is much more than a logo and a tagline Corporate Identity and Branding Design is a foundation for all of your future marketing activities, creating familiarity and recognition among your audience, communicating your company's ideals, separating you from your competition.